Joseph Jefferson “Shoeless Joe” Jackson had many accolades in his 13-year MLB career. His baseball life, although lengthy by deadball-era standards, was nonetheless sadly shortened for his role in throwing the World Series in 1919. Still, Jackson amassed a lofty .356 lifetime batting average, having never hit below .308 in any full-time season, a truly remarkable feat. 1912 was no different, really, in terms of being remarkable. Yet amid all the sensations Jackson would showcase before and after this season, one gem of a game is often overlooked. Jackson had a fantastic .395/.458/.579 slash line for the 1912 season, to go along with 121 runs scored, nearly twice as much as the next highest player for the 5th place Cleveland Naps (Indians.) He would also swipe 35 bases that year to easily lead the team. On August 11th, in an 8-3 victory at League Park over the visiting New York Highlanders (Yankees), Jackson would take four bases and score twice in the game. That he totaled up those numbers is not surprising, but how he did it, is. 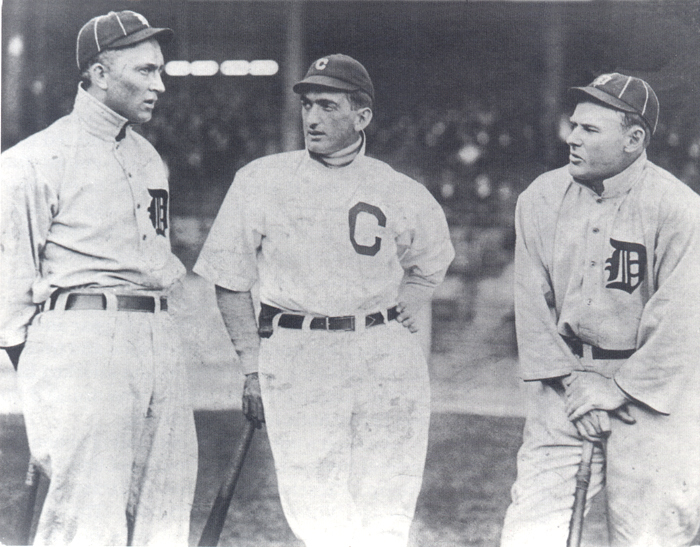 In the first inning, Jackson would keep his name in the discussion with the great Ty Cobb as being one of the few who could confidently steal home successfully. But Jackson wasn’t done yet. In the seventh, Shoeless Joe would achieve the rare stolen base cycle, swapping second, third and then home, in succession, in the same inning. At the time, Jackson was just the fifth player in MLB history to steal home twice in the same game, and even today he remains just one of eleven players ever to accomplish the sterling feat. That he did so while also stealing all three bases in the same inning makes this event stand out. No player has stolen home twice in the same game since Vic Power pulled it off on August 14, 1958, ironically also while playing for the Indians, at home, and 46 years nearly to the day since Jackson’s marvel. While only eleven players have stolen home twice in the same game, swapping all three bases in the same inning is essentially equally as rare. To date, stealing all three bases in the same inning has happened just 50 times in baseball history. The most recent occurrence was by Dee Gordon on July 1, 2011 while playing for the Dodgers against the Angels in Anaheim. Pete Rose also did it in 1980, but before that nobody had done so since Harvey Kendrick in 1928. Some players just breathe rarefied air, even for one inning. Nobody would ever consider stealing home twice in a game, or swapping all three bags in the same inning easy or commonplace, but don’t say that to Ty Cobb or Honus Wagner, as each man had a stolen base cycle in the same inning an astonishing four times in their careers. But for Jackson, stealing home twice and capturing all three bags in the same inning, both in the same game, was a phenomenal accomplishment.